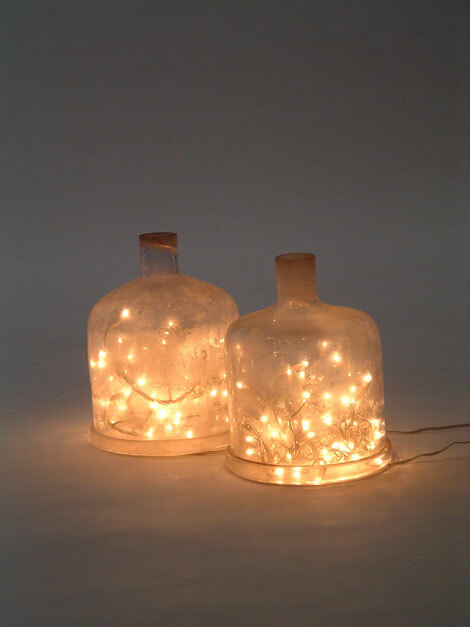 An interesting bottle can be easily transformed into a light sculpture by adding Christmas lights inside of it. It's a very low cost alternative to store bought lights, recycling used bottles helps to save the environment, and it's easy to complete. It only takes a little imagination.